Social Security Tax: Do You Need to Pay? | Philip Stein & Assoc. As a U.S. citizen living abroad, you are likely exempt from double taxation, but may still need to pay Social Security tax. Let our team of experienced accountants guide you. The U.S.-Israel Income Tax Treaty protects citizens of both countries against double taxation on declared earnings. Unfortunately for self-employed individuals, it will not exempt you from paying Social Security or Bituach Leumi taxes. 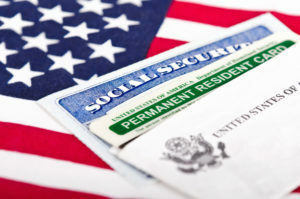 This means that individuals set up as either Osek Patur or Osek Murshe are liable for paying into U.S. Social Security. In addition, if you are working from Israel for a U.S. entity, and are issued a ‘Form 1099’, you are liable for U.S. Social Security tax. Calculating your social security benefits can become extremely complex. This is compounded by constantly changing external factors such as the Windfall Elimination Provision (WEP). We assist our clients when possible with assessing what benefits may be due upon retirement and can advise regarding early or late application for payments. We partner with companies that specialize in calculating especially complicated situations. For simple calculations, it is best to start by using the social security website calculator. If you have an employer sponsored pension, and apply for Social Security Benefits, the amount you receive may be limited by the Windfall Elimination Provision (WEP). For more information, please click here. By paying Social Security for 40 quarters, you may be eligible to begin receiving Social Security benefits starting at the age of 62. If you receive U.S. Social Security benefits, please speak to one of our associates to discuss if these benefits could be exempt from tax.